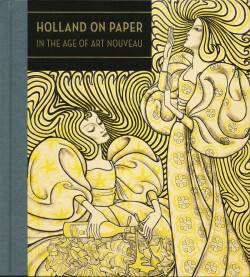 Holland on Paper in the Age of Art Nouveau is a handsomely produced volume that makes an important contribution to current English-language scholarship concerning Dutch works on paper from the 1890s and early years of the 20th century. 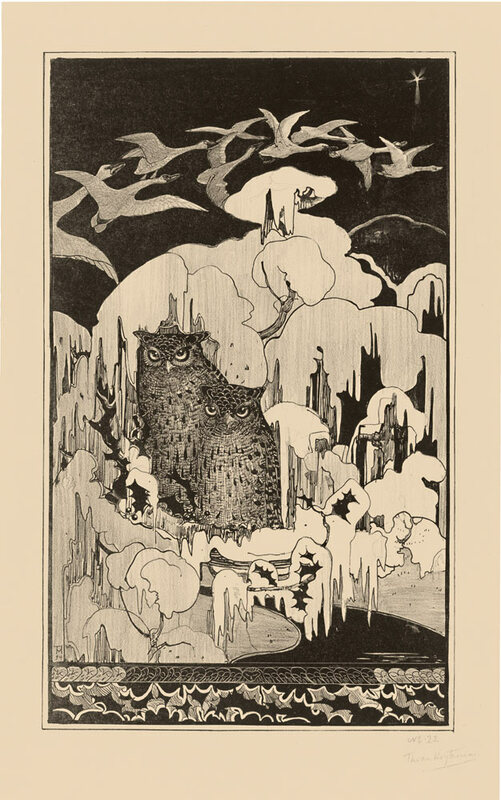 The book brings together a selection of prints and drawings from the Boston Museum of Fine Arts collection of turn-of-the-century Dutch drawings and prints. Written by Clifford S. Ackley, the man who for more than three decades has been in charge of collecting, caring for and curating the works, with research assistant Katherine Harper, Holland on Paper provides a strong, visually rich entry point to the subject. Fig. 1. Piet Mondrian, Bend in the Gein with a Row of Ten or Eleven Poplars (ca. 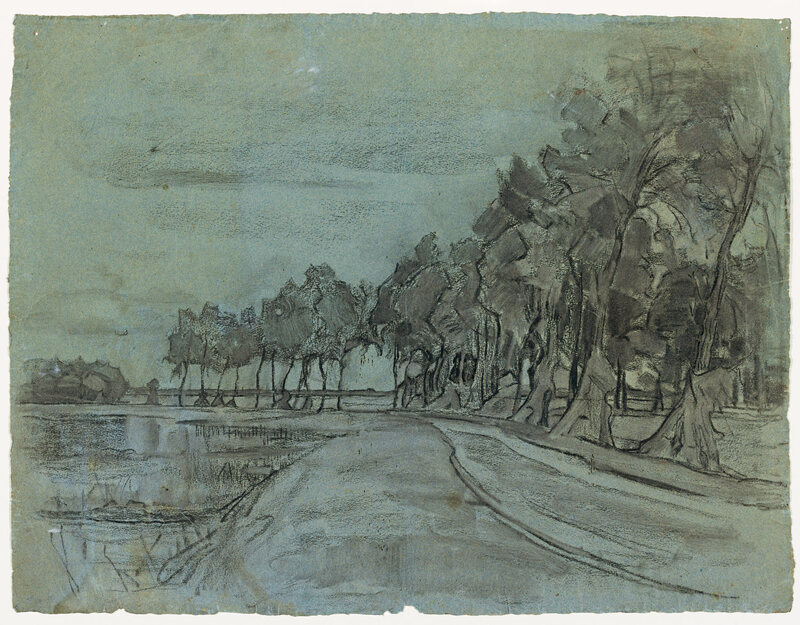 1905-6), charcoal with touches of white chalk, stumping and erasure, on blue paper, 48 x 62.7 cm. Museum of Fine Arts, Boston, William E. Nickerson Fund, 60.966. 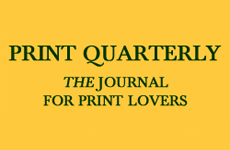 The unusually diverse geographic variation of Art Nouveau has recently been the focus of a slow but steady reconsideration as new scholarship emerges and existing studies are translated into English or other widely read languages. Scholars are increasingly turning their attention to art historical developments outside the dominant narratives that position Paris at the epicenter of the modern art world. 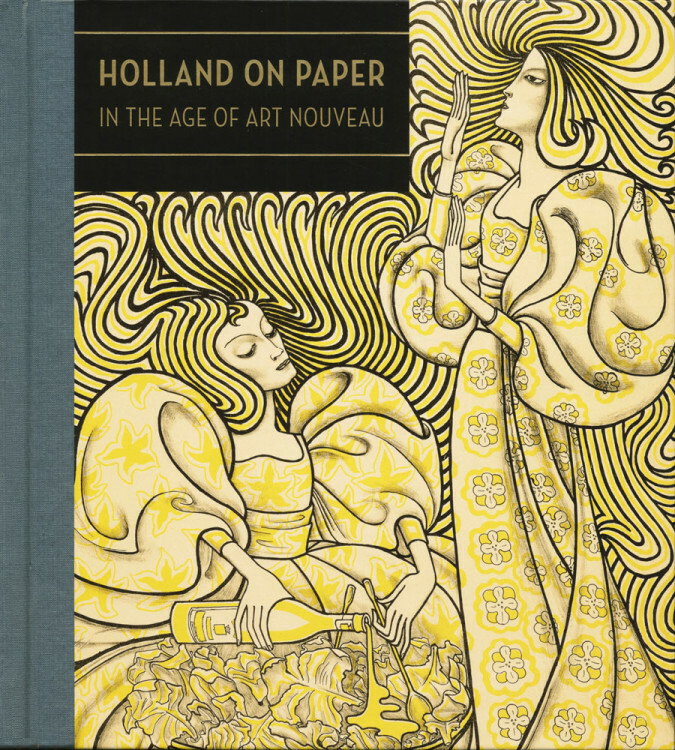 Holland on Paper adds to this larger revisionist project, enriching and enlivening our understandings of the period. Fig. 2. 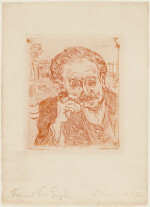 Vincent van Gogh, Dr. Gachet (The Man with the Pipe) (1890), etching and drypoint, printed in red ink, image 18 x 15, sheet 32.3 x 23.3 cm. Museum of Fine Arts, Boston, Bequest of W.G. Russell Allen, 60.393. Image courtesy of the Museum of Fine Arts, Boston. Image courtesy of the Museum of Fine Arts, Boston. Ackley begins by outlining major cultural shifts in Holland in the final decades of 19th century that have seldom been discussed outside Dutch-language publications. Beginning with the 1880s art-for-art’s sake aesthetic associated with the periodical De Nieuwe Gids and followed in the 1890s by a more socially oriented concern for an engaged art related to the concept of Gemeenschaps-kunst (Community Art), Ackley outlines the developments of this period in broad strokes. He points to the wealth of styles—various strands of Realism and Symbolism co-existing with early abstract tendencies—and to the equally abundant array of ideological underpinnings ranging from sociopolitical (socialist, anarchist) and religious (Theosophical, Rosicrucian) to the scientific (natural history, botany). The heart of the book is the “selective pictorial survey” of 117 exquisite plates of individual prints and drawings by more than 30 artists. Each is discussed briefly and illustrated with at least one high-quality reproduction, often augmented by a close-up detail or reproductions of additional art works as visual comparisons. The format facilitates a full understanding of variations of technique and exposes the Dutch preoccupation with fine draftsmanship as well as the often virtuosic graphic achievement attained during this period of print discovery and innovation. It is in this section that one finds the true strength of this publication—a visual compendium that is astonishing to the newcomer and affirming of the period’s variety and depth to the initiate. Fig. 3. 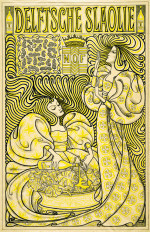 Johannes Theodorus Toorop, Delftsche Slaolie (Delft Salad Oil) (1894), lithograph in black and yellow inks, image 87.3 x 56, sheet 100 x 70.5. Museum of Fine Arts, Boston, Lee M. Friedman Fund, 1990.458. 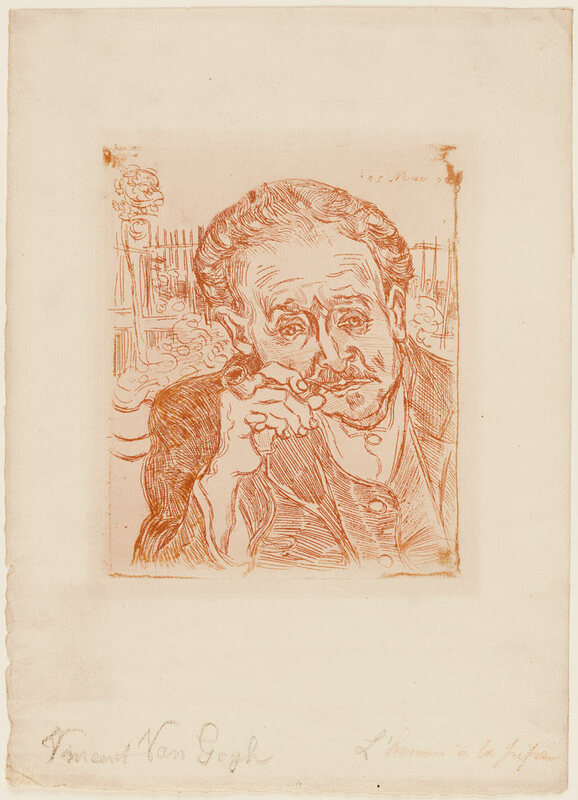 Image courtesy of the Museum of Fine Arts, Boston. Of the artists included, Jan Toorop and the lesser-known but highly noteworthy graphic designer Theo van Hoytema, are by far the best represented, with more than 20 works by each. Toorop is usually the dominant figure in surveys of the period, and he emerges as the protagonist of Dutch Art Nouveau as it is presented in this book. His widely reproduced poster Delft Salad Oil (Fig. 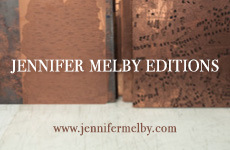 3), which appears as a detail on the cover, serves as an entry point to the book as a whole and to the introductory essay. 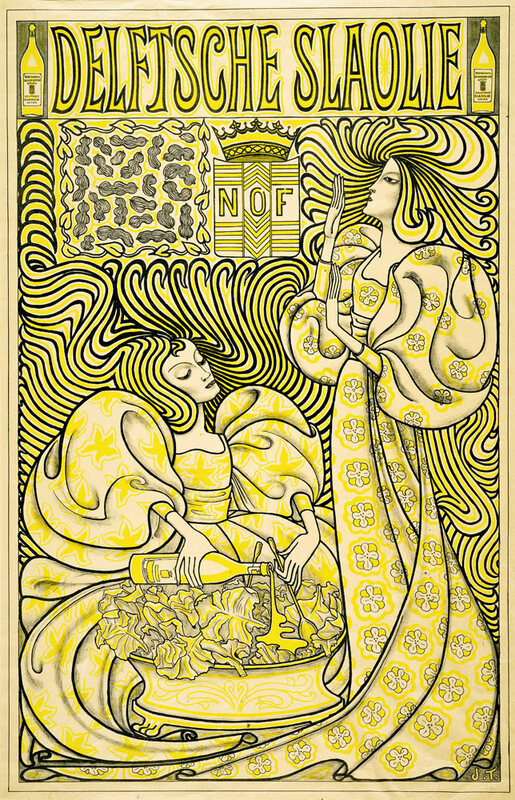 The stylized, sinuous lines of Toorop’s poster tie the Java-born Dutchman to international experiments in graphic design and the decorative arts, especially those of Brussels. The poster is a reminder of the transnational complexities of the period, and its status as an advertisement underlines the period’s desire to improve the aesthetic quality of all that is designed, imparting beauty and dignity to the objects of everyday life. Van Hoytema was a particularly popular artist in turn-of-the-century Holland, due in large part to his calendars and children’s picture books, but he has not enjoyed the same level of historical recognition as Toorop, making his inclusion in Holland on Paper all the more welcome. Van Hoytema’s early years included a formative period as an artist in the Leiden Zoological Museum (1889–1990), and his precise observation of the natural world led to works characterized by botanical and zoological accuracy on the one hand and pattern and composition on the other. 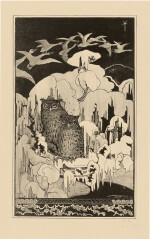 The latter aligned him with wider Art Nouveau stylistic concerns. His best works, such as the lithograph Christmas Eve (Fig. 4), reveal a fine balance between detailed renderings of the natural world and abstracted and decorative framing. His formal experimentation with texture results in a densely articulated surface, and a visually distinct aspect of van Hoytema’s lithography that warrants underlining. Boston, Fund in Memory of Horatio Greenough Curtis, 2013.300.1. Image courtesy of the Museum of Fine Arts, Boston. At the other end of the stylistic spectrum from Toorop, and indicative of the period’s diversity within Holland, is the sparer geometric abstraction evident in furniture design that also found its way into graphic production. Of particular note is Johan Thorn Prikker’s design for the Dutch art exhibition at the Kaiser Wilhelm Museum in Krefeld, Germany (Fig. 5). 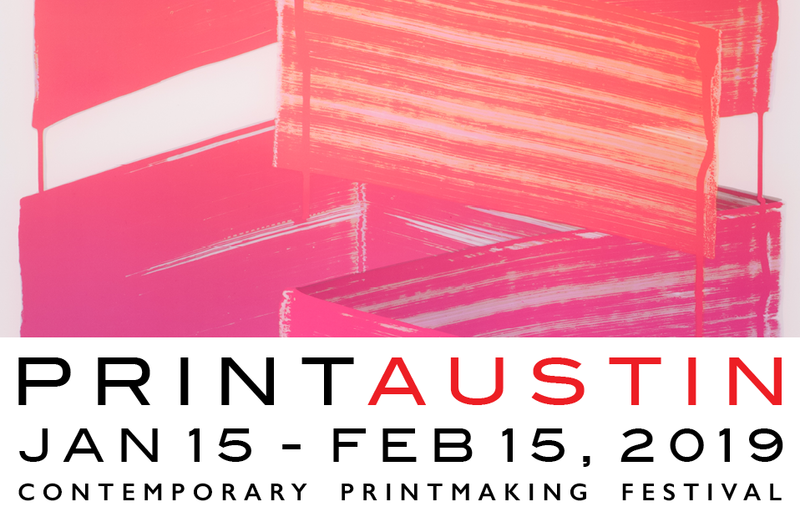 Best known for his mystical symbolist paintings of the 1890s, Prikker here combines abstract design components with roots in the natural world, a nod toward batik design, bold typography and geometric framing. 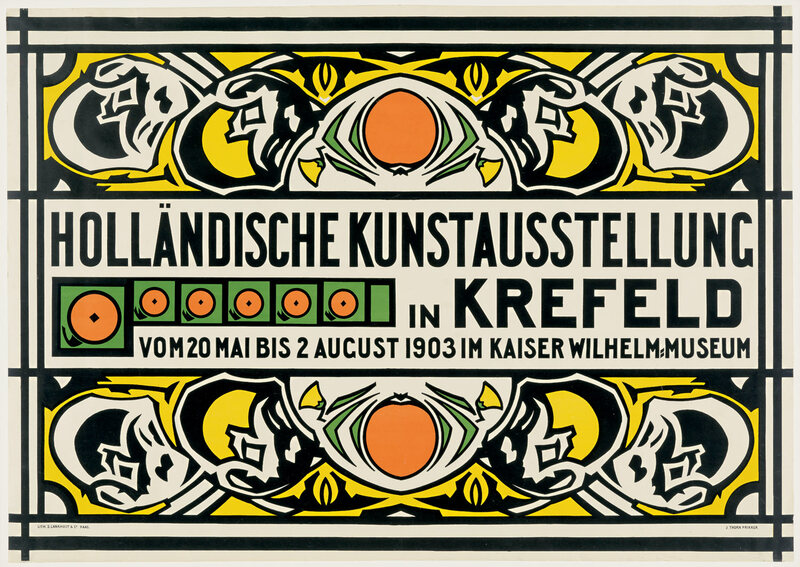 His subsequent design experiments tied him to Belgium (especially to the architect and designer Henry van de Velde) and to Germany, which became his home soon after he designed this poster. Other highlights include the posters of the committed socialist Richard Roland Holst, the book design of Gerrit Willem Dijsselhof, the botanical studies of Theo Nieuwenhuis, the mystical, theosophically informed woodcuts of K. P. C. De Bazel and the exotic, intricate draftsmanship and decorative surface ornamentation of C. A. Lion Cachet. Fig. 5. 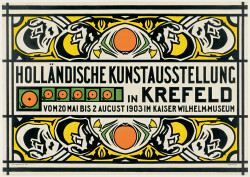 Johan Thorn Prikker, Holländische Kunstausstellung in Krefeld (Dutch Art Exhibition in Krefeld) (1903), color lithograph, 85.1 x 121 cm. Museum of Fine Arts, Boston, Lee M. Friedman Fund, 1986.587. Image courtesy of the Museum of Fine Arts, Boston. Ackley concludes his introductory remarks: “I trust that my own subjective observations about these works convey some of my sense of visual discovery.” This is exactly what this book achieves. Ackley has, in this stunning volume, contributed significantly to the larger project of opening up to the English-speaking world an intriguing chapter in what has until recently been among the best kept secrets of modern art. With the appearance of this splendidly illustrated and valuable book, the secret is out.